IN THE SUMMER OF 1908, the Reverend E.B. Welsh of the Eastlake Presbyterian Church in the City of Wilmington began canvassing the Hillcrest area, looking for interest in organizing a non-denominational Sunday School. Reverend Welsh consulted with the Reverend J.A. Brewington of the Eastlake Methodist Church, and on September 20th organized a Sunday School in the Shellpot School House at the intersection of Shipley and Talley Roads, just west of Philadelphia Pike. The school opened with 37 students and five teachers. Two months later, the Sunday School moved into the loft of the stable and carriage house of Martin Beadenkopf on Marsh Road, where an organ and chairs were provided. The following spring, a frame building was erected on a plot of ground given by Mr. Beadenkopf at the corner of Marsh Road and Hillcrest Avenue, and in May, the Sunday School moved into its new building. The Reverend Charles D. Sharpless of Eastlake Methodist began holding evening services in the building as well. Hillcrest had no street lights, and those attending the evening service carried oil lanterns, which were lined up in the back of the church during the service, along with buckets of coal used to replenish the pot bellied stove that heated the building. In March of 1910, the Reverend W.L. Jump was appointed the first pastor of the Hillcrest congregation, and two years later, in March of 1912, Hillcrest Methodist Episcopal Church was made a separate charge under the ministry of the Reverend T.H. Harding. In March of 1913, ground was broken for the original stone building, and in August, the cornerstone was laid for the new church. The frame building was torn down, with lumber used in the construction of the new structure. Much of the stone used in the building was found on the grounds, and men of the congregation and the community did most of the construction work. 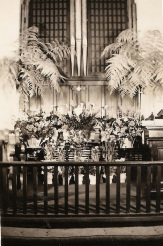 The building, seating roughly 125 people, held its first service on Valentine’s Day of 1914, and the church was formally dedicated on May 29th by Bishop Thomas B. Neeley of Philadelphia. The Sunday School was always a vital part of the ministry of the church. 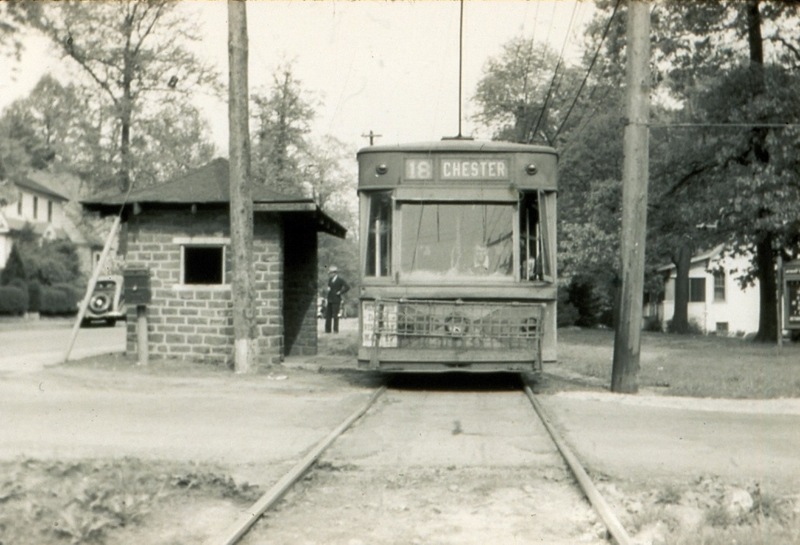 It was given the nickname of “The Singing Sunday School” by the trolley conductor, who heard the members singing each Sunday as he drove the trolley up Hillcrest Avenue on its way to Darby, Pennsylvania. In the nearby town of Bellefonte, Methodists began worshiping in a tent under the leadership of the Reverend Hugh Kelso in 1919, with the Megginson family’s chicken house offered up for use as a Sunday School. After a few meetings in the tent, money was secured through loans from G.W. Weldin and Henry Folsom to build the Bellefonte Chapel. Ground was broken in August of 1919, and the first service in the new building was held in December. The church was dedicated on the first Sunday of 1920. Twenty-eight years later, the cornerstone was laid for a new Education Building attached to the existing Bellefonte Chapel, which, when completed, was used to hold Bellefonte’s Sunday School. Over the next thirty years, the Hillcrest church grew as the demographics of the area changed. Despite the country’s hard times, with it’s growing and faithful membership, Hillcrest was able to burn it’s mortgage by the end of 1929. In February of 1942, after determining that a larger building was needed, an expansion program was officially opened by Bishop Adna Wright Leonard of the Washington Area, under the pastoral leadership of Reverend Paul E. McCoy. A drive was made for funds but construction was delayed because of the war. In May of 1943, Bishop Leonard died tragically when a plane he was traveling in to visit Methodist Chaplains and troops in Europe crashed in Iceland. As with the rest of the country, many families of the Hillcrest and Bellefonte congregations saw their sons and fathers enter the service. When Hillcrest's new sanctuary finally opened nearly a decade later, the church’s name would change to Hillcrest Memorial Methodist Church in memory of Bishop Leonard and three young men of the church – Parker Smith, Eli Sheldon, and Harry Todd Hickey – who died in World War II. Before that, though, construction began on the church's first addition, a Fellowship Hall, in 1947. It was completed the following year, opening in October of 1948. Two years later, in December of 1950, construction on a new sanctuary finally began. On March 30th, 1952, the Hillcrest Memorial Methodist Church’s new sanctuary officially opened, over 10 years after the original plans had been made. In 1954, with church membership at 415 and enrollment in the Sunday School up to 275, the church began to plan for additional education facilities, and in June 1956 a financial campaign was launched as part of the church’s 50th Anniversary Expansion program. The new Education Building was completed and consecrated in 1957. The North Wilmington area was experiencing a population boom, and consistent with these trends, Hillcrest church continued to grow rapidly. By the following April, yet another Building Committee was formed and authorized to develop plans for new facilities to adequately accommodate anticipated church growth. Preliminary proposals for a new, larger sanctuary were prepared and presented in October of 1958. 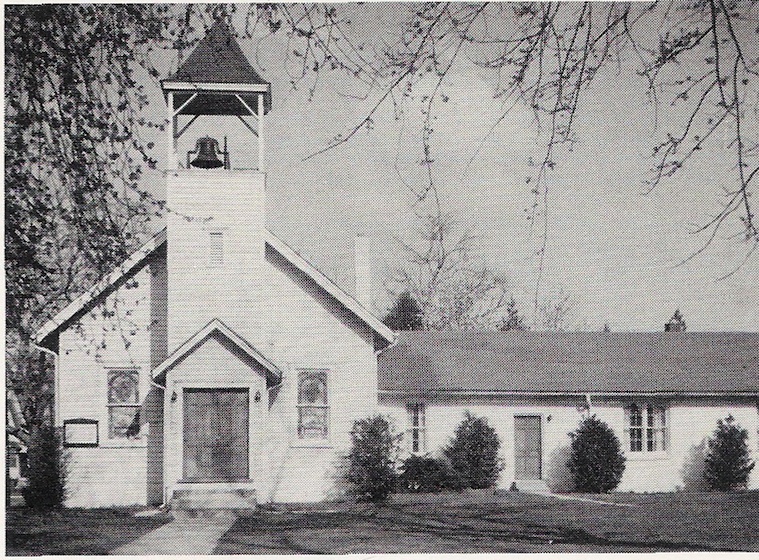 In March 1960, the church’s membership approved construction of the new facilities, which included a new Fellowship Hall in addition to the sanctuary. Groundbreaking was held in June of 1960 and officiated by the Reverend Howell O. Wilkins and the Reverend Phillip H. Dunning. In December, the cornerstone for the new building was laid. On June 25, 1961, the new sanctuary was consecrated, at which time the keys were presented to Hillcrest’s new pastor, the Reverend William O. Hackett, by District Superintendent Reverend R. Jervis Cooke. Church membership had grown to 786 members. The new sanctuary was designed in a Danish modern style, with African cherry and pinewood. The windows over the altar were designed by former Pastor Howell Wilkins and represented the three great festivals of the church year: Christmas, Easter, and Pentecost. To the left of the pulpit, the three crosses of Calvary were built into the window structure. The large cross over the entrance to the church was made up of two bundles of wood arranged into a cross shape, representing the near sacrifice of Isaac on the altar by Abraham, and the sacrifice of Jesus on the cross. On May 16, 1966, under the leadership of Reverend Hackett, who by that time was also serving the Bellefonte Church, the Bellefonte congregation voted to merge with Hillcrest Memorial Methodist Church. In July, it was decided that the new name for the merged congregations would be: Hillcrest-Bellefonte Methodist Church. A year later, in May of 1967, with the merger of the Methodist denomination with that of the Evangelical United Brethren, the full name of the church became Hillcrest-Bellefonte United Methodist Church. In September of 2008, Hillcrest-Bellefonte held its 100th Anniversary Celebration, commemorating one hundred years since the founding of our Sunday School. The sermon was delivered by the Wilmington District Superintendent, Rev. Dr. William M. Fitzhugh, Jr., and included a presentation of a documentary on our church entitled "Ties That Bind: The Hillcrest-Bellefonte Community at 100". If you are interested in more information about our history, please visit our historical display in the Church Library.